- Lend Sprinto coin in Sprinto Lending & Earn Profits Everyday. 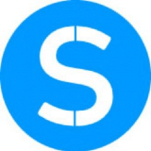 - Sprinto coins built on Hybrid algorithm. Hold Sprinto coin in your Desktop wallet and earn interest on it. - Sprinto coin's POW algorithm allow to mine Sprinto coin and make profit by selling on exchanges.